Pinning the poverty issues, brokers have managed to supply electronic waste (or e-waste) products to developing countries including India, China, and other parts of Africa for many years where the wastes are reused, repaired and used again as a cheaper alternative. While these illegal trades initially seem harmless, the wasted electronic components can greatly compromise with human health. To decline the possibility of health hazard, to escalate the methods of scientific waste management, researchers from the Rice University and Indian Institute of Science (IISC) have joined hands to develop a new process to recycle electronic wastes. They call it, pulverizing e-waste into nano-dust. What is bad in using a repaired electronic product over and over again? A research paper on Transboundary Toxic E-Waste flow and other in-kind reports suggest, defective and dysfunctional electronic components, already comprising lead, cadmium, beryllium, Arsenic, Lithium, Mercury, brominated flame retardants, can potentially threat human lives and can even pass down to the future generation. Immature disposition of computers, televisions, VCRs, stereos, copiers, fax machines, electric lamps, cell phones, audio equipment and batteries, therefore mean harm that needs to be tackled with care. With this storyline, Chandra Sekhar Tiwary, a postdoctoral researcher at the University of Rice and a research fellow at the IISC has proposed to grind the electronic scraps into very small components so that the segregation of various parts can be made easy. Using low-temperature cryo-mill to pulverize electronic waste, the chips, polymers and other components in a PCB board can be crushed together and separated without contamination. According to Tiwary, their research would replace the conventional method to used e-waste into landfills, burning or chemically treating the products to use as something else. 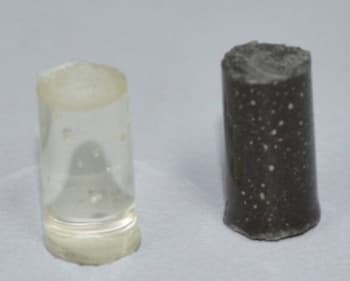 None of them is completely environment friendly and wastes a vast amount of energy, as said by Tiwari, their research instead turns metals, oxides, and polymers into homogenous powders which are very easy to separate. Further the researchers calculated that the e-waste growth will be increased to 33 percent and by 2030, the total waste will weigh more than 1 billion ton. Adding to that, he also affirmed that United States will have the biggest storage of e-waste. The prescribed method uses a cryo-mill design, where the materials are kept at ultra cool temperature while crushing instead of heating them. Considering physics principles, in cold condition things are brittle and they are phobic to fusion. Whereas, in high-temperature things tend to belong together. Depending on elastic modulus, thermal conductivity and coefficient of thermal expansion, the characteristics change with temperature. 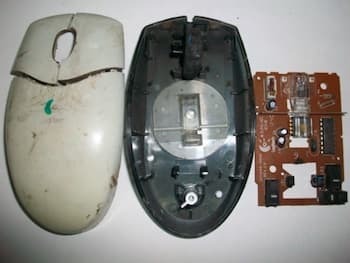 In a corresponding experiment, the computer mouse PCB circuits were tested. The cryo-mill, comprising a single tool-grade steel ball with Argon gas was used. The container was constantly cooled with a steady stream supply of liquid nitrogen which kept the container at -182 degrees Fahrenheit. Once the pulverization starts the steel ball grinds the polymer first, then the metals and then the oxides into 20 and 100 nanometers wide power grains. After the method, the powder is bathed in water to separate the required materials. The corresponding research paper has now been published in the Materials Today paper by Tiwary, Rice materials scientist Pulickel Ajayan and Indian Institute professors Kamanio Chattopadhyay and D.P. Mahapatra.